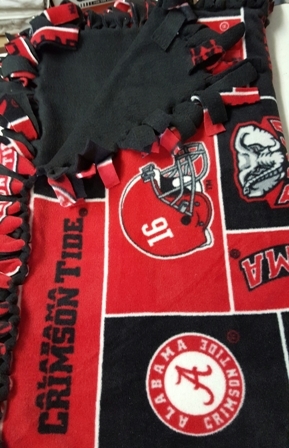 Fleece tie blanket. 36 inches by 58 inches. One line, one side personalizing included in price. Please put name in notes. You can choose either Block lettering or Script lettering, and which side you would like the emboidery.